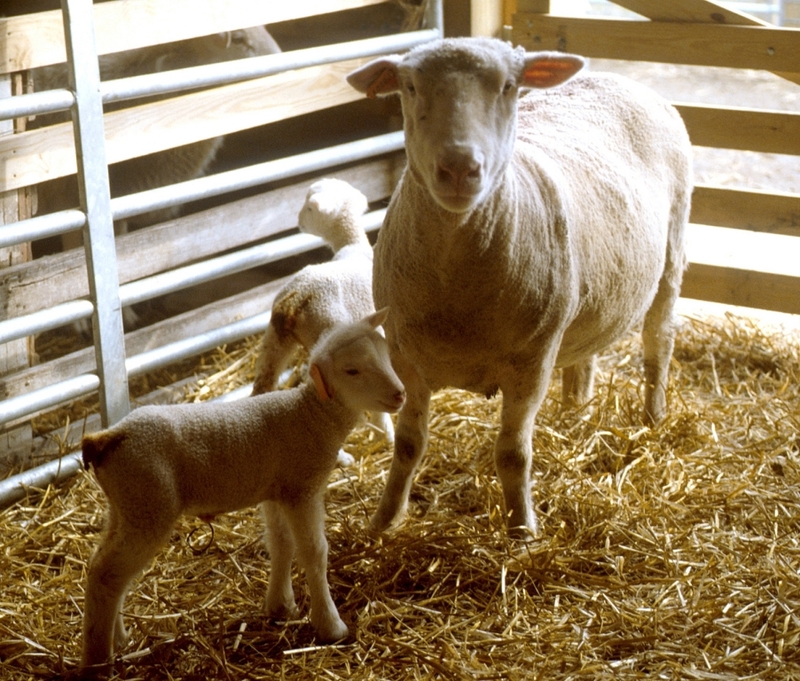 The 2011 Buckeye Shepherd’s Symposium will concentrate on “Small Ruminant (Sheep and Goat) Nutrition”. This year’s annual event will be held on Saturday, December 10, 2011 at the Agricultural Technical Institute (ATI), Skou Hall, 1328 Dover Rd., Wooster, OH 44691. With the diversity of the sheep and goat industry, we have made this an intense small ruminant nutritional education program, with all segments of the sheep and goat industry in mind during the planning process. The keynote speaker of the program will be the ever popular Dr. Francis Fluharty, Ruminant Nutritionist, Ohio Agricultural Research and Development Center, The Ohio State University. Dr. Francis Fluharty will be discussing many diverse areas of small ruminant nutrition. Dr. Fluharty’s keynote address will be titled “Meeting the Challenges of Supply and Demand and Consumer Expectations for Food Animal Products”. In addition, Dr. Steve Loerch and Dr. Bill Weiss, Ruminant Nutritionists, also of the Ohio Agricultural Research and Development Center, The Ohio State University will be a major part of this educational program. Andy Korb, Feed Sales Representative, Kalmbach Feeds, will also be a breakout speaker during the program; Andy brings experience from the mainstream feed industry to the program. The small ruminant nutrition topic speakers have expertise in Basic Ruminant Nutrition, the Small Ruminant Digestive System, Feeding Alternative Grains such as Dried Distiller’s Grains, Feeding Stored Forages to Small Ruminant Animals, and Practical Ration Balancing for a small ruminant animal. The program is designed for sheep and goat farmers that are involved in every segment of the industry. The 2011 Buckeye Shepherd’s Symposium will also offer a Youth Program session for the first time in several years, led by Dr. Carrie Pickworth, Ruminant Nutritionist, formally with The Ohio State University, Agricultural Technical Institute. This youth session will include nutritionally related topics aimed for a youth learner. This will be a great opportunity the youth to catch up their basic small ruminant information and even prepare for upcoming skill-a-thon activities. Recommended ages for the youth program is 7-18. Pre-registration is required, but there is no additional costs for the youth program. “High quality speakers and intense small ruminant educational topics are what will make this symposium unique. The 2011 Buckeye Shepherd’s Symposium may be the only time you have a chance to see these speakers and topics discussed in one setting!,” states Roger A. High, Executive Director, Ohio Sheep Improvement Association. The Ohio Sheep Improvement Association Annual Meeting will also be held on Saturday December 10, 2011. The OSIA Annual Membership meeting will be the first item on the agenda prior to the program beginning. During the OSIA Annual meeting, the election of the OSIA officer team will be held, as well as other important items for the OSIA membership to discuss. A lamb lunch will be served at lunchtime, followed by the awards program in which the Charles Boyles Master Shepherd Award, Distinguished Service Awards, Friend of the Ohio Sheep Industry and Environmental Stewardship Awards will be presented. Youth recognition will be given to the State FFA Sheep Proficiency Award Winner, State 4-H Sheep Award Winner, and the Ralph Grimshaw Memorial Scholarship winners for 2011. Posted by Braden Campbell at 9:52am January 4, 2019 Posted in Events and tagged Events. Bookmark the permalink.